I have been determined to get a hang of painting with water colour for a long time. 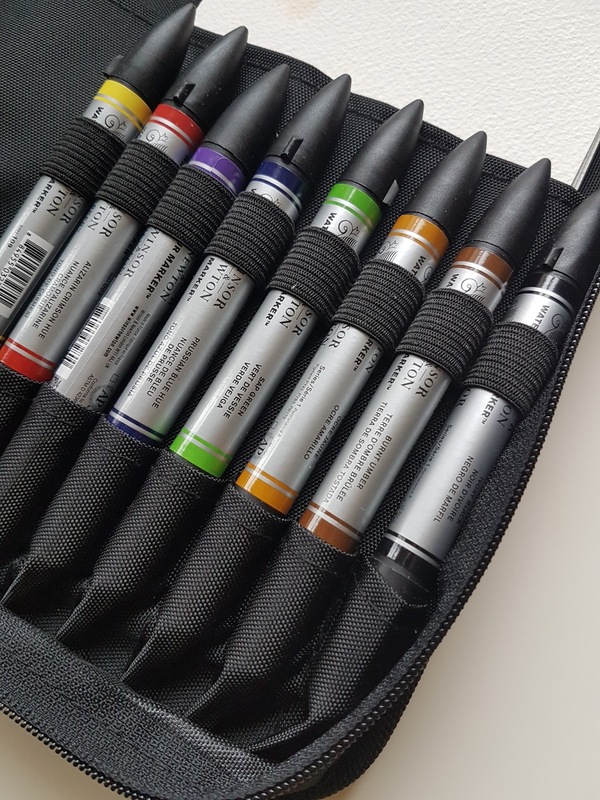 So when I saw this little travel set of WindsorandNewton watercolour pens in CassArt for a quater of the price. In their sale, I thought it was the perfect opportunity. Aswell as a bit of an easier starting point. I was impressed by the contents of the little pouch it comes with 8 pens in a variety of colours. I would of liked some more skin tone colours in there but hey! I can always add to the set. You get two brushes, some water colour paper. 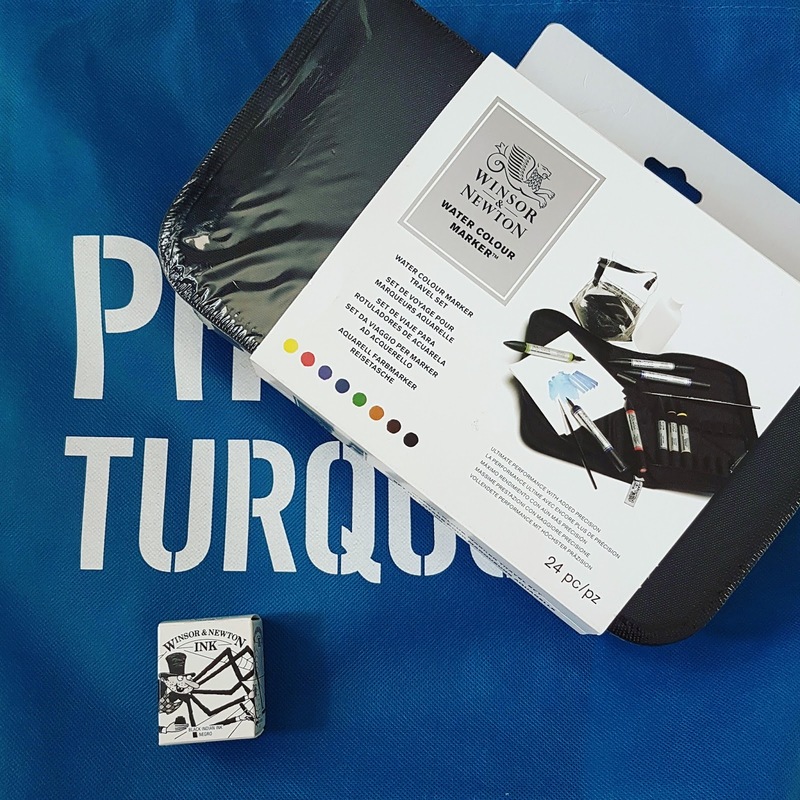 A travel mini pouch and a water bottle for painting on the go. Pretty handy. What I really liked about these was that they are so pigmented and easy to use. You can layer them with different textures, as when you add water it effects the marks you've made but in a very controlable way. I enjoyed the fact that you could draw then paint add then hand drawn elements on top of that. Adding some dimension to my work. All in all a great set. I'm just going to practice some more and explore what other techniques can be crafted by using these bad boys. 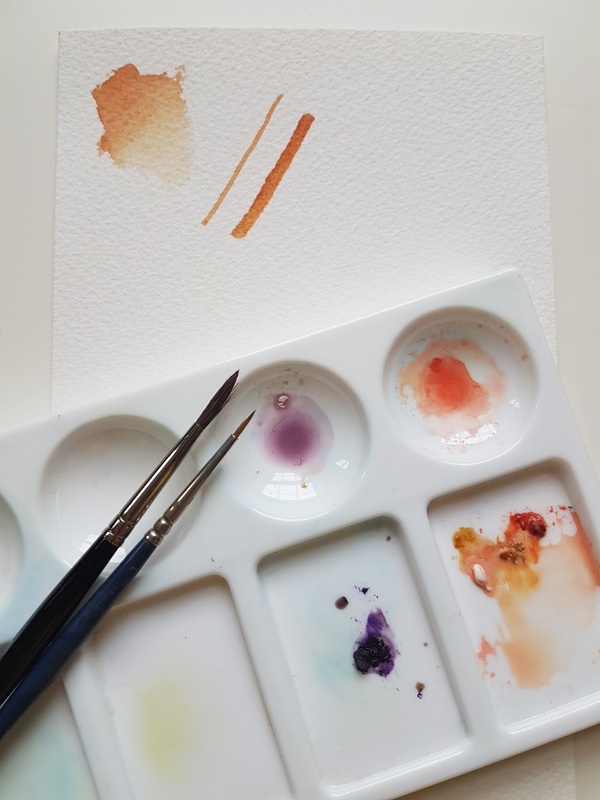 What are you product recommendations for a water colour beginner? A lover of food, budget travel. A Self diagnosed beauty obsessive and one of those creative types.